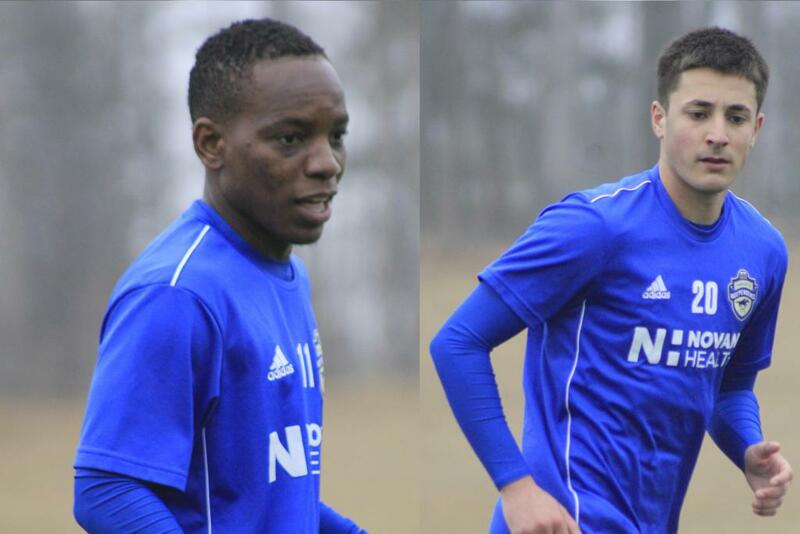 Charlotte, N.C. — The Charlotte Independence, a United Soccer League (USL) professional soccer team, announced signing two rookie midfielders, Jake Areman and Mutaya Mwape, pending league and federation approvals. Areman comes to the Independence having last played for Monmouth University. In two seasons with the Hawks, the Freehold, New Jersey native scored four goals and nine assists in 36 starts. In the summer of 2017, Areman played for Premier Development League (PDL) side New York Red Bulls U23. Areman, like past Independence rookie signings such as Callum Ross, Jaime Siaj, and Lewis Hilton, attended the Independence-Rapids Combine in December. Coach Jeffries says the speedy midfielder was a standout during the two-day workout. Both Areman and Mwape have been on trail with the Independence since the beginning of preseason. Areman scored in the Independence’s first preseason game versus Columbus Crew SC on February 17th. Mwape started both preseason games, thus far. Last season with the PDL Champion Charlotte Eagles, Mwape appeared in 12 games recording 879 minutes played and two goals. In two seasons at Lindsey Wilson College, the Zambia native scored 25 goals with 19 assists on his way to a 2017 NAIA First Team All-American selection as a sophomore. Mwape says he became familiar with the Independence’s attacking style of play after the PDL Championship game last July. Heading into his rookie season, he’s excited about the new challenges of going pro into and is appreciative of the veteran presence helping him along. The Charlotte Independence, a United Soccer League professional soccer team, will kick off the 2018 season at the Sportsplex at Matthews on Saturday, March 17th when the Independence hosts Ottawa Fury FC. Single-game tickets are now available. For details on the upcoming schedule and Season Memberships visit charlotteindependence.com or call 704-206-1515.